It was, perhaps, inevitable that this kind of damaged rock 'n' roll would re-emerge at some point. It was, perhaps, inevitable that this kind of damaged rock 'n' roll would re-emerge at some point. On their second album, Philadelphian trio Clockcleaner further elaborate on the joys of what they have termed Skull Music, as in: (this noise is designed to cave in your) Skull (with sonic baseball bats that will most probably leave you languishing in hospital listening to piped radio) Music (for the foreseeable future). Or so they would hope. 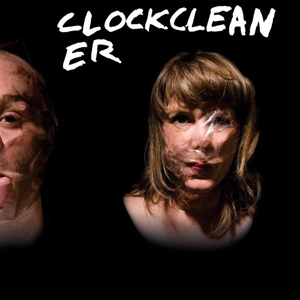 It's good stuff, like being slowly night-stalked by sound, but played back-to-back with the Buttholes' 'Locust Abortion Technician', Clockcleaner's fear factor pales in comparison. Unfair contrasts aside, 'Babylon Rules' is a nasty pleasure worth suffering for.